Istanbul was amazing, but cold! Make sure to read my Istanbul tips HERE. 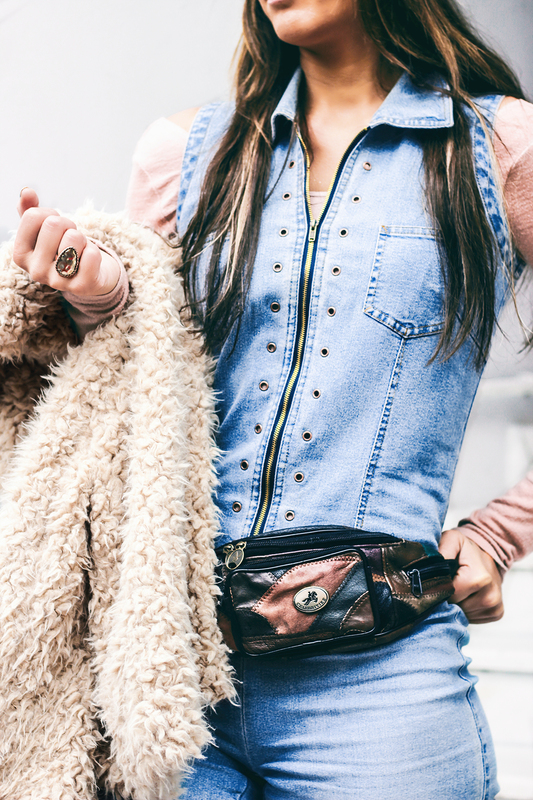 I’ve worn this amazing vintage jumpsuit before, but since it’s such a favorite piece of mine I wanted to show a slightly different style with this super cool fluffy jacket and fanny pack. I really love this 70’s inspired vintage look and because of all the layers it was also very functional, as Istanbul was freezing this time around.